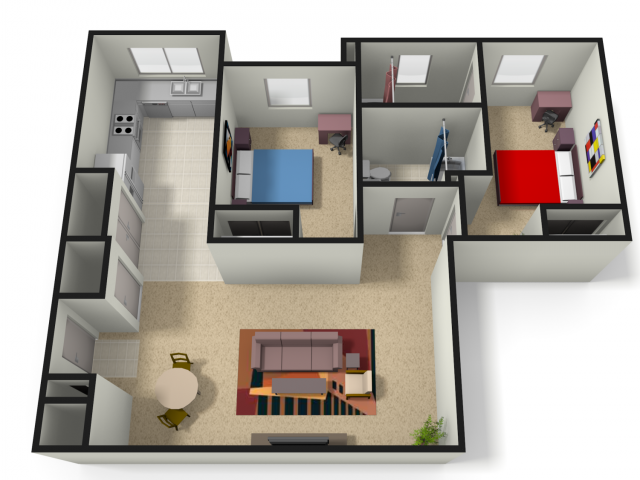 Are you looking for a place to live for the upcoming semester? 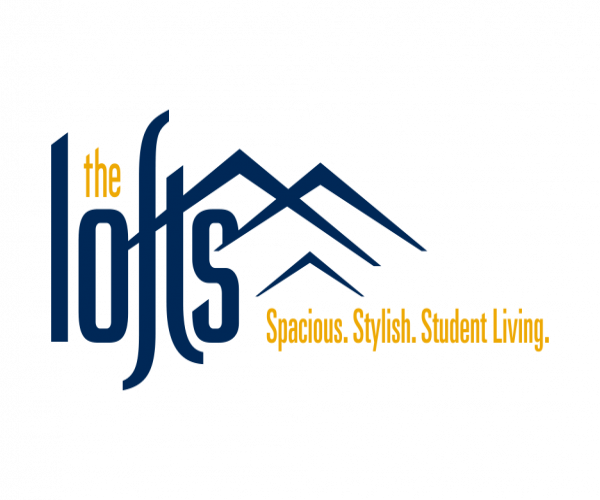 The Lofts apartments provides a unique twist on conventional student living by offering two-, three-, and four-bedroom apartments with private rooms and bathrooms so you can take advantage of all the perks of living with roommates but still enjoy privacy. 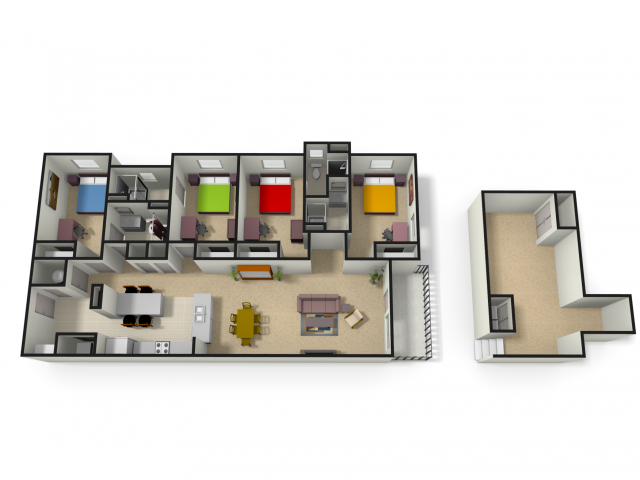 You can even choose our two-story townhouse units that offer the extra space of penthouse-style living. 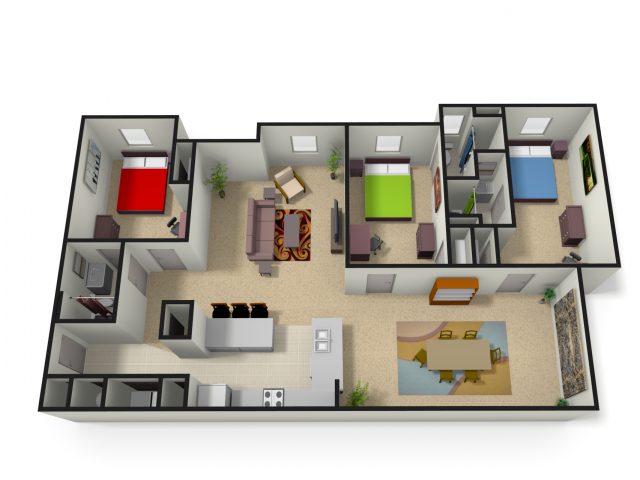 Fully furnished homes boast premium features including fully equipped kitchens, in-home washers and dryers, and amenities that meet all of your media needs including free Wi-Fi in all buildings and a 50" flat screen TV offering cable/satellite. 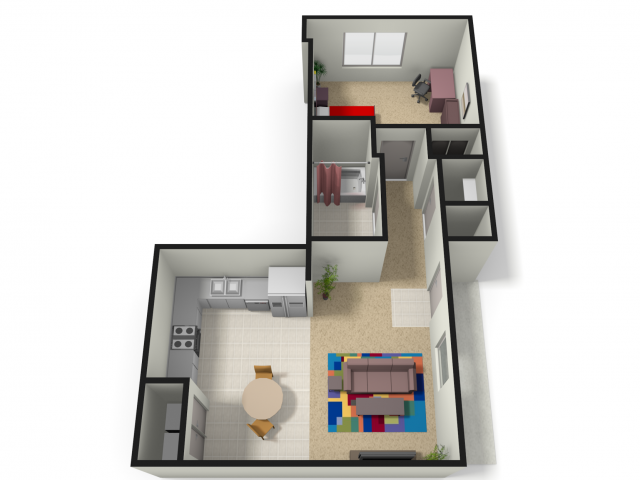 Enjoy other conveniences like soundproofing between each home and included utilities. The Lofts apartments also boast elegant in-home touches like ceramic tile in the kitchens, bathrooms, and foyers, granite countertops, stainless steel appliances, and private balconies so you don't have to sacrifice comfort or style at your home away from home. Find the perfect space for you today! 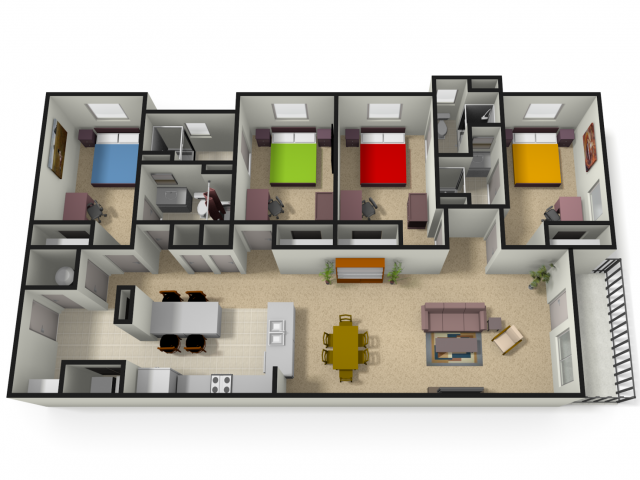 Schedule a tour of our West Virginia University off-campus housing community now!